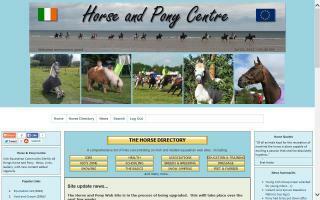 Roscommon County, Ireland Horse Directory - O Horse! Franziska Lienberger Saddlery is specialized in producing hand stitched bridles and head collars. We also restore and repair saddles and harnesses. Anything that requires genuine leather with specific requirements. Qualified saddler with 25 years' experience. An Irish equine website which includes news, a searchable directory of equine websites on all areas of horsemanship, and a gallery. State of the art equestrian complex in the beautiful gateway to the west of Ireland. Providing instruction and coaching in English style and western riding. 7000 acres of traffic free trail and trekking with mountain riding. Full livery facilities with indoor and outdoor arenas. Riders instructed from absolute beginners to advanced. Jumping leagues and camps. Hotels and B&B's local. Irish manufacturer of quality timber painted and rustic show and working hunter jumps. Single jumps or sets available for all ages and abilities.